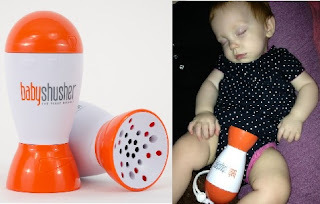 What do you think of this Baby Shusher - The Soothing Sleep Miracle for Babies? A revolutionary tool for parent that uses an ancient, but doctor-tested and approved rhythmic shushing technique to help soothe your fussy baby. Get some much needed sleep, for you and baby! BONUS QUESTION! Who has the best price? Usually it's the US Amazon site, sometimes is is the UK site or Canadian site!